This is the perfect recipe for Lunch when you have few friends over. Easy to cook and delicious to eat. For me, to prepare and cook this I do not have to spend time in the kitchen cooking instead of spending time with them if I prepare in advance. 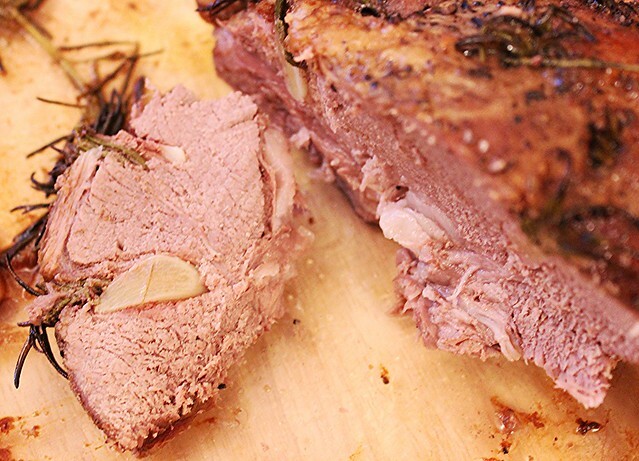 Serving Roast lamb together with mash potato and green and crunchy salad is a brilliant idea. 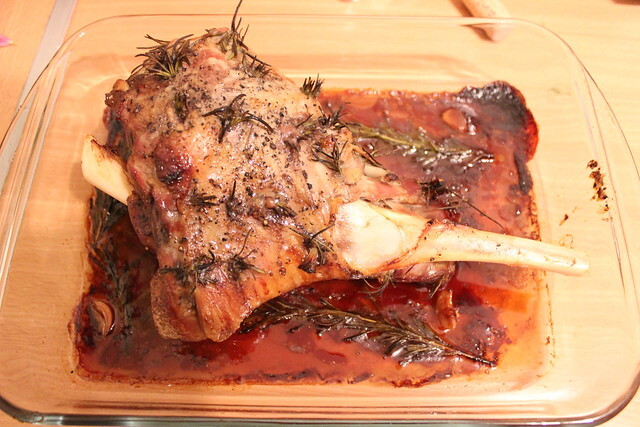 Set lamb leg in the plain resting position. Pierce lamb in several places leaving few centimeters in between. Insert garlic clove and rosemary as deep as possible. 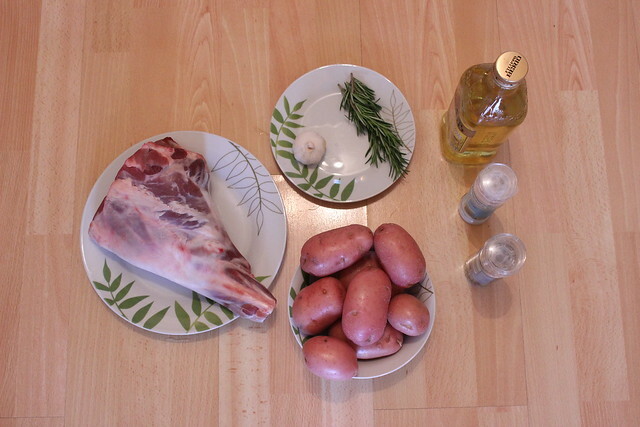 Follow this, to cover one side of lamb completely. Ground seasalt and black pepper on the both sides. Don’t afraid to ground salt generously. 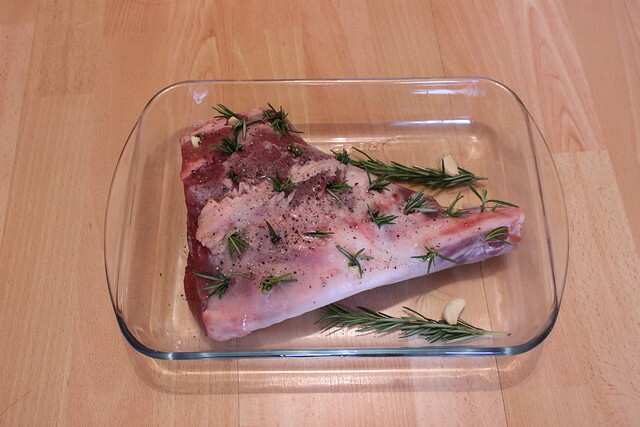 Place lamb on flat oven tray. Add some rosemary and cloves of garlic at the side. These will be use to make a sauce. Add 500 ml boiling water, cover using foil. Heat oven on 300 degrees and put tray in for 30 minutes. After 30 mins reduce oven to 200 degrees and leave it for 60 minutes. 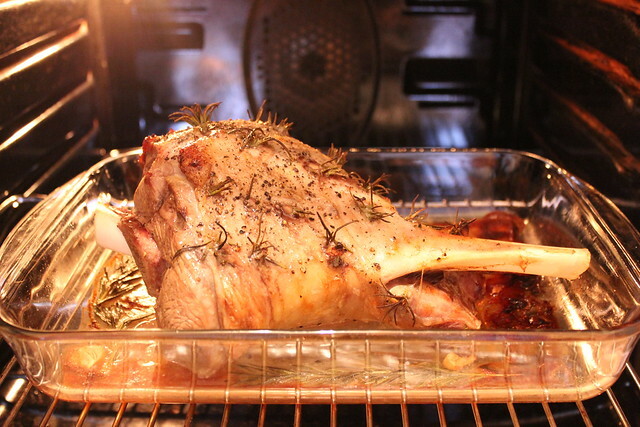 Leave foil until lamb is fully cooked. Cut potato in half or quarter, depending upon size, boil until it is thoroughly cooked. I prefer to boil it first and peel the skin out. I find this is easier. Add salty butter on the deep pan. Add potato and mash it using masher. Add Cheddar cheese, splash of olive oil. You can add milk or hot water if mash is coarse. Mix all ingredients thoroughly and it is ready to serve. Make any crunchy salad of your choice. 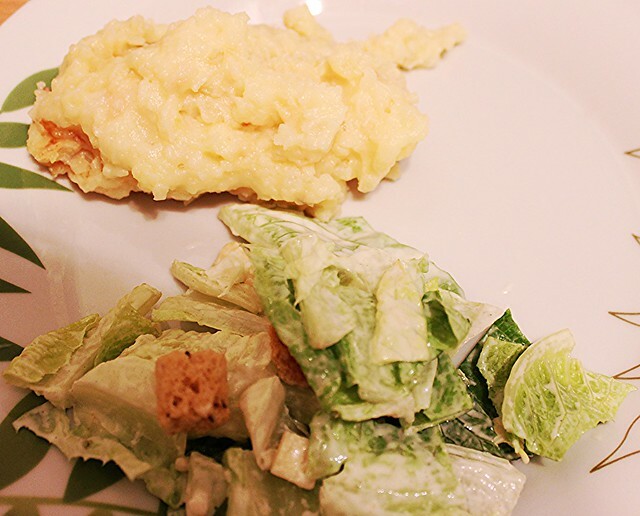 I prepared ceaser salad. I serve mash potato and salad on the plate and left roast on the table for DIY. All my friends participated to take a slice of it. It was fun!